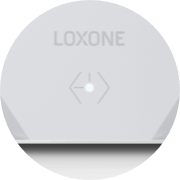 The Loxone Touch Nightlight is more than just a light. 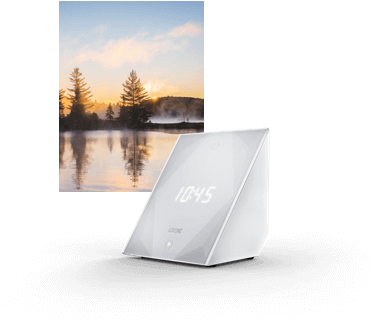 It's an alarm clock, night light, ambient light source and intuitive smart home switch all-in-one. Thanks to these features and its versatility, it is a great addition to every bedroom, from the master suite to a child's bedroom. 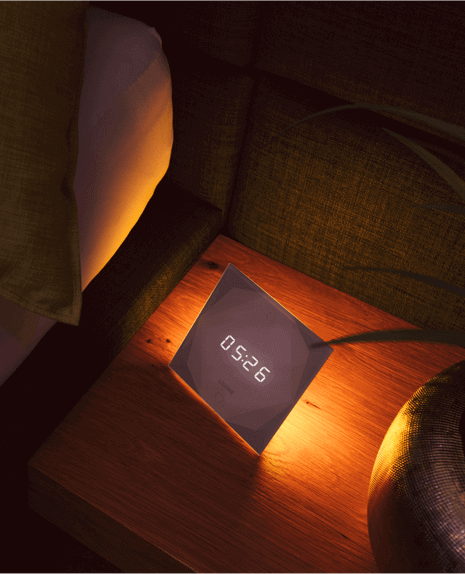 Despite its versatility, the Touch Nightlight remains simple and intuitive. 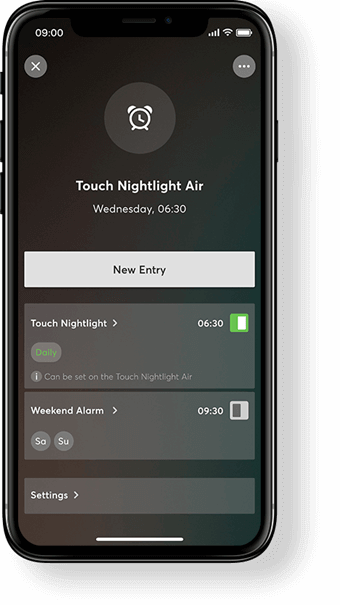 One of the best parts of the Touch Nightlight is that you no longer need the app to set the alarm in your Loxone Smart Home. 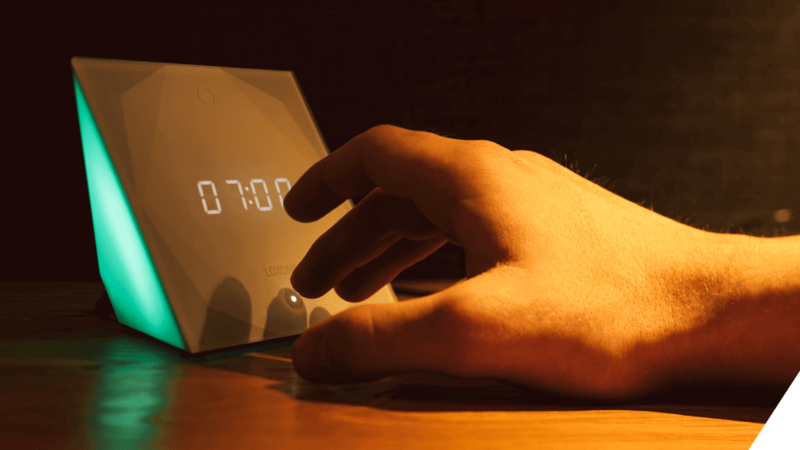 You can set your desired alarm time for the next day using the buttons integrated into the Touch Nightlight. Of course, you can still use the app if you’d wish however now you have the choice. True to our philosophy ‘one app for everything’ we offer full app functionality for all of the Touch Nightlight features. 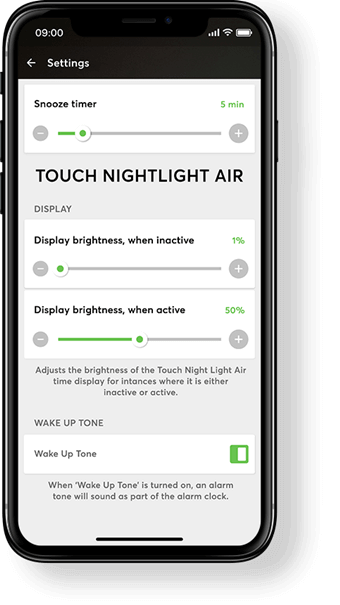 The full support of the Touch Nightlight in the app gives you an overview of all of the active alarms. If you like a lie in at the weekend, no problem, simply create a different wake-up time. 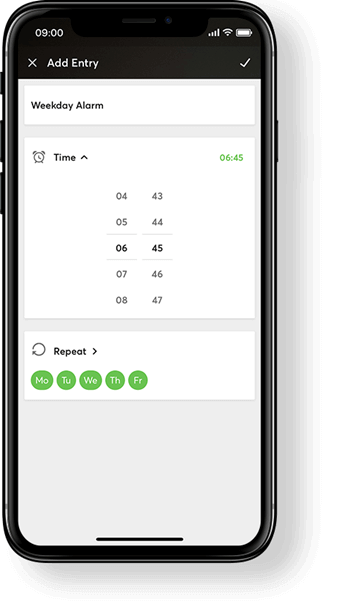 Set individual wake-up times in the Loxone app and let your Real Smart Home gently wake you up. 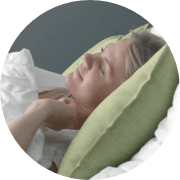 In the Loxone app, all of the necessary adjustments can be made to ensure that both falling asleep and waking up are as pleasant as possible. For example, you can individually define the display brightness of the Touch Nightlight for both its active and inactive states. In a Real Smart Home, the Touch Nightlight becomes part of the intruder alarm and the fire and water alarm systems. 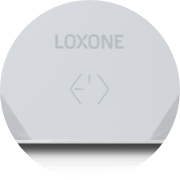 Thanks to Loxone Air technology the Touch Nightlight is ready for use in just a few moments. 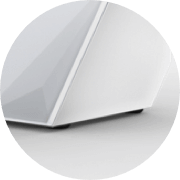 There is minimal installation effort as the device simply connects to the power supply via a USB cable. The digital display shows the time and indoor temperature. It can also display the outdoor temperature in conjunction with either the Weather Station or Weather Service. If the Touch Nightlight is not used for a set period of time it will automatically switch into an idle mode. You can select the brightness of the display at any time. 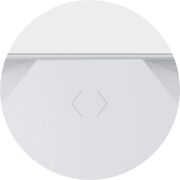 The upper touch point in the center on the Touch Nightlight is used to arm the intruder alarm. You can also assign an individual function to this key, to meet your needs. The Touch Nightlight has an additional LED in the section of the touch area. This LED can display whether the intruder alarm system is armed or not. 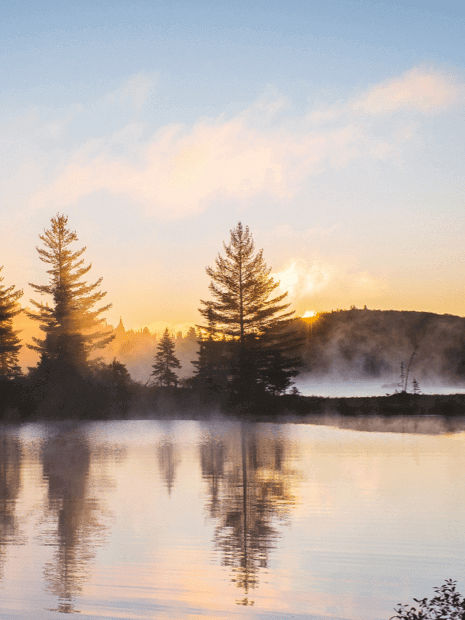 As this is freely assignable, individual status can be configured to show here. A short click on the lower activation button activates/ deactivates the alarm clock for the next day. A longer click allows you to set the alarm time. The lower LED indicates whether there is an active alarm. If the snooze function is activated this LED on the Touch Nightlight will pulse to indicate this. 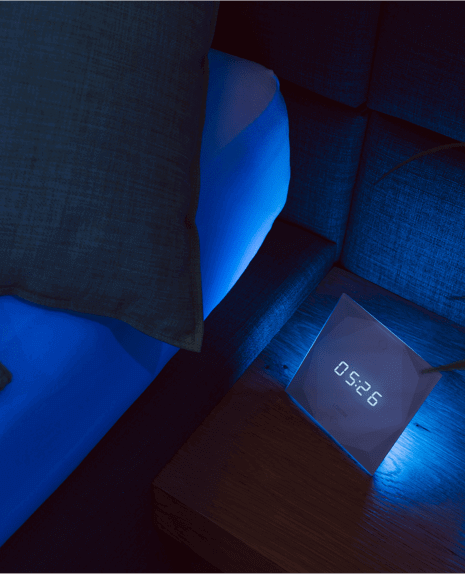 You can choose whether the Touch Nightlight gives a subtle acoustic click feedback when touched. 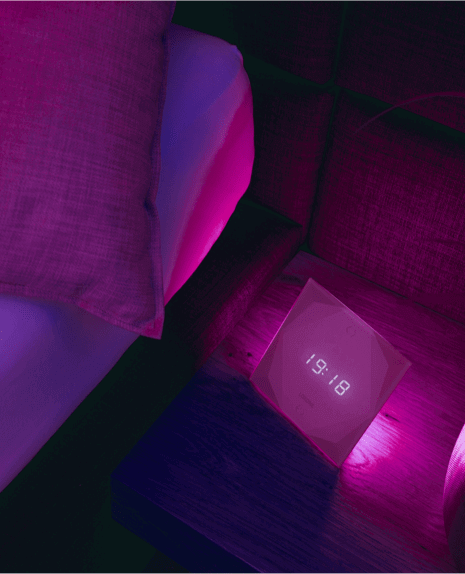 The Touch Nightlight has five different alarm tones. You can easily change the volume of each of these tones in the Loxone app. 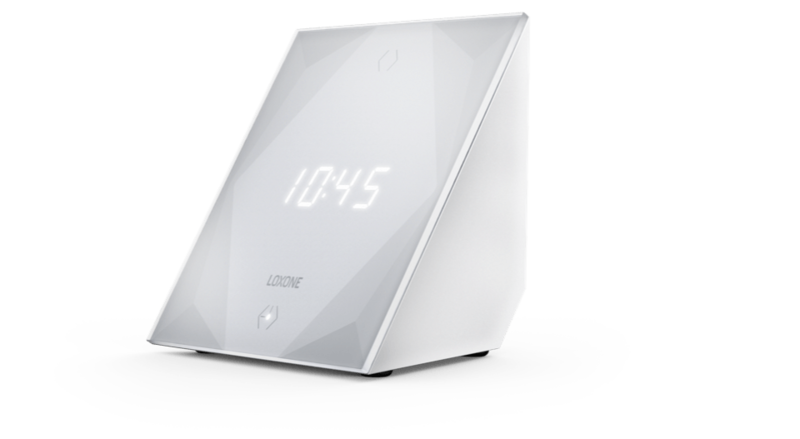 When using the Loxone Music Server, the Touch Nightlight’s alarm tone can be deactivated. This way your favourite song can wake you instead. 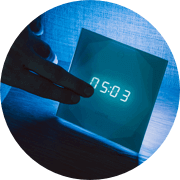 The user interface of the Touch Nightlight is made of real, premium, hardened glass. A gentle touch is sufficient for operation. The satin finish is achieved by the ceramic finishing of the glass surface. Fingerprints will remain invisible. Thanks to the high-quality workmanship and the selection of exclusive materials, the Touch Nightlight has an extremely premium finish. It’s also very practical with rubberised feet providing the Touch Nightlight with a stable base. Our popular touch switch has undergone a redesign to give you that extra bit of luxury. A sleek design with a silken glass finish and clean lines gives this product its name - Touch Pure. Extraordinary control integrated directly into your home’s hard furnishings. The new Loxone Ceiling light is an all-in-one, effective lighting source. Complete with built-in motion and brightness sensors - making it a great all-rounder for many different room types in a Real Smart Home. The perfect access control solution. The NFC Code Touch for control of your door, gate, garage and alarm.